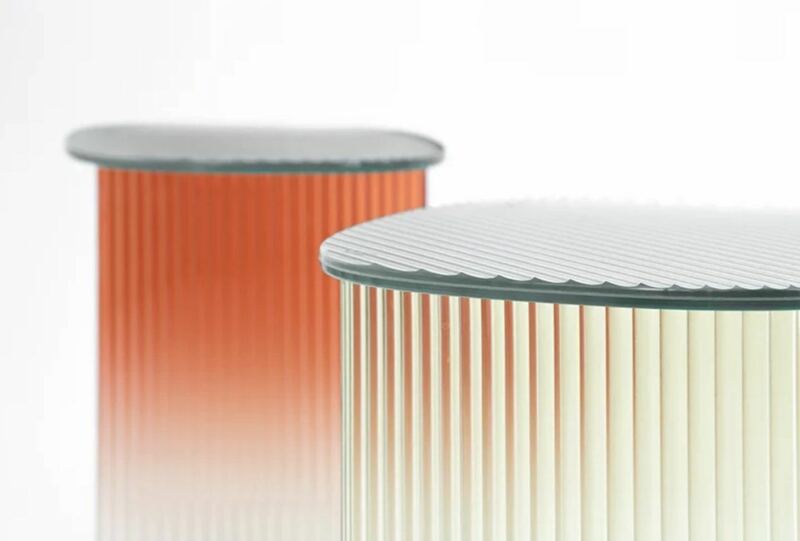 Bangkok-based design firm Thinkk Studio has made a contemporary set of oval side tables using fluted glass. 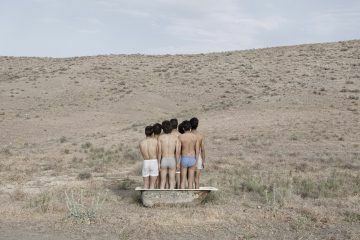 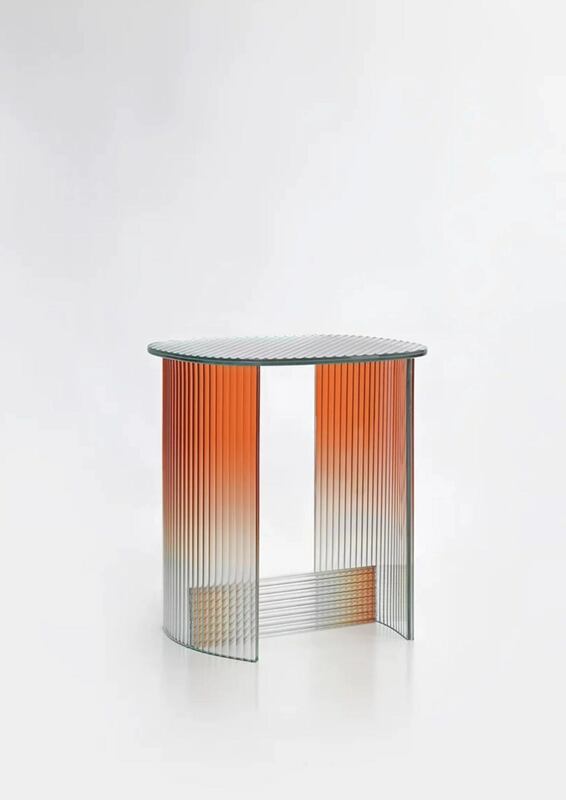 The tables are part of a collection titled ‘Made In Thailand’ that intends to create unorthodox furniture incorporating industrial design processes. 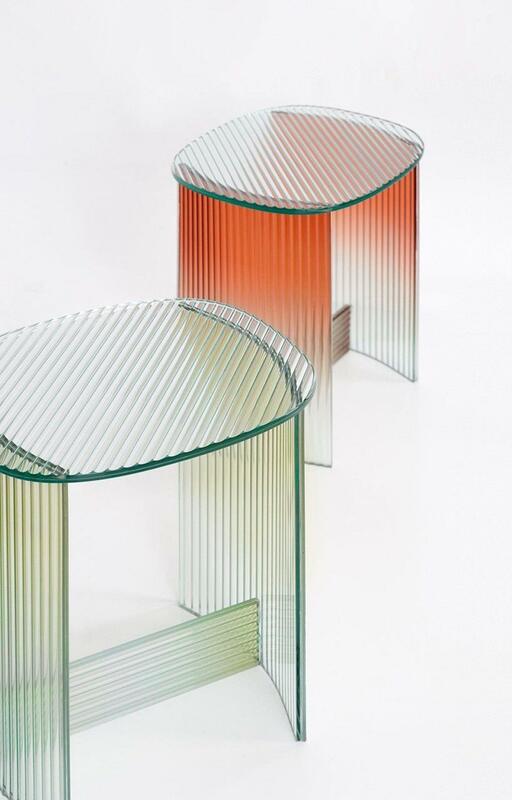 Thinkk Studio worked with local Thai manufacturers and craftsmen to create a collection that distances itself from aesthetics that are traditionally Thai. 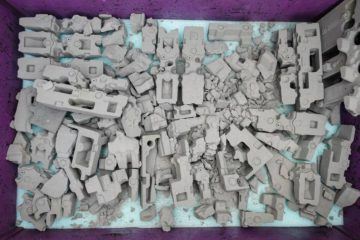 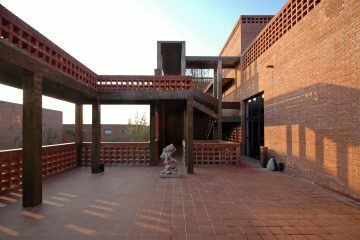 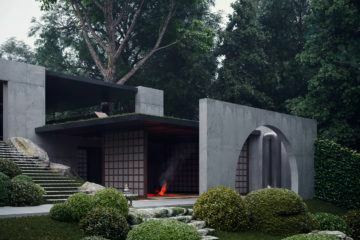 Although different in appearance, the studio experimented with innovative craftwork and skills that were handed down through generations of Thai artistry. 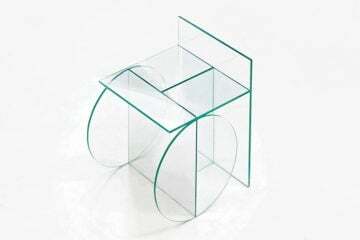 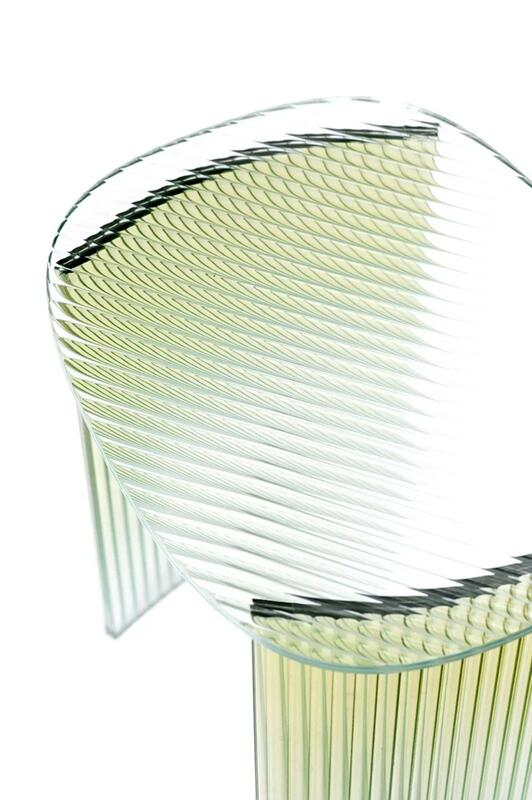 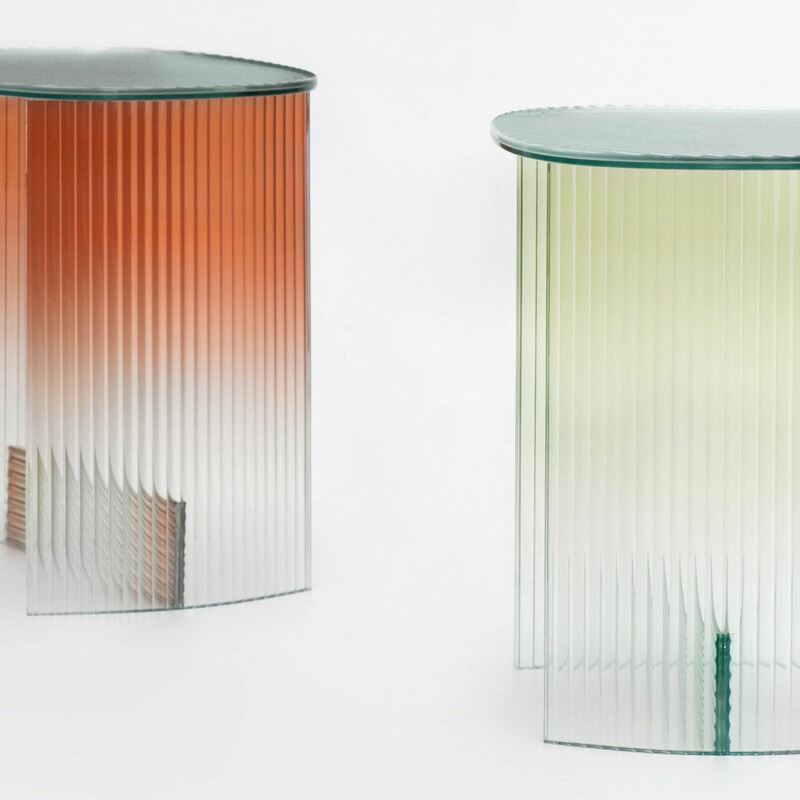 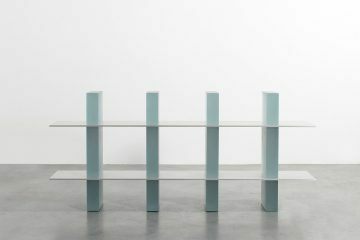 The tables experiment with both smooth and fluted glass sheets that curve inwards. 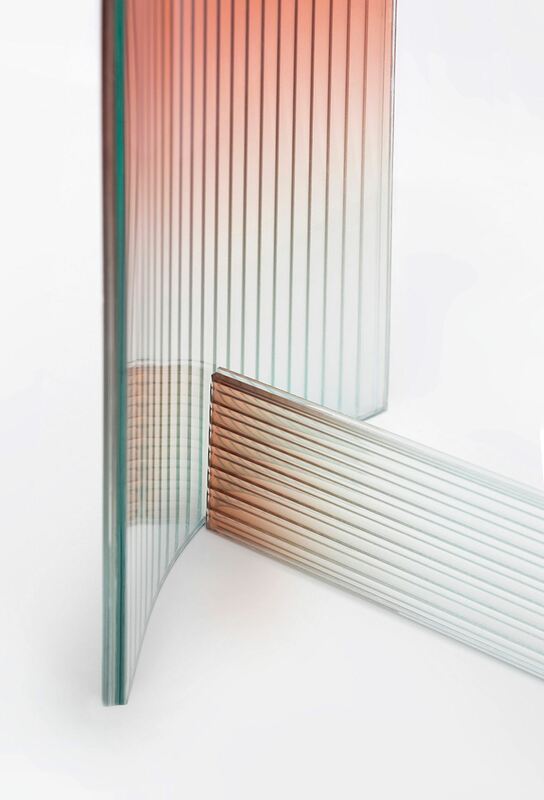 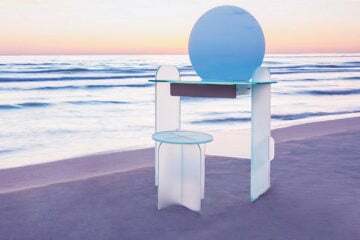 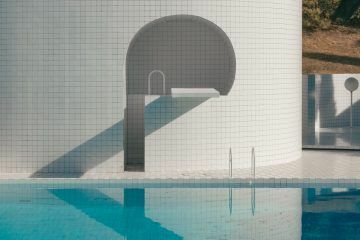 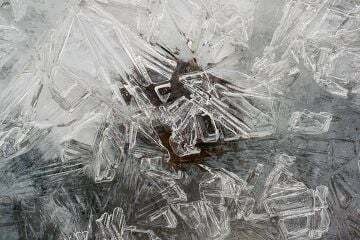 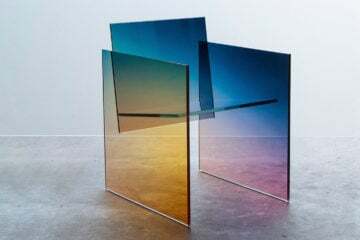 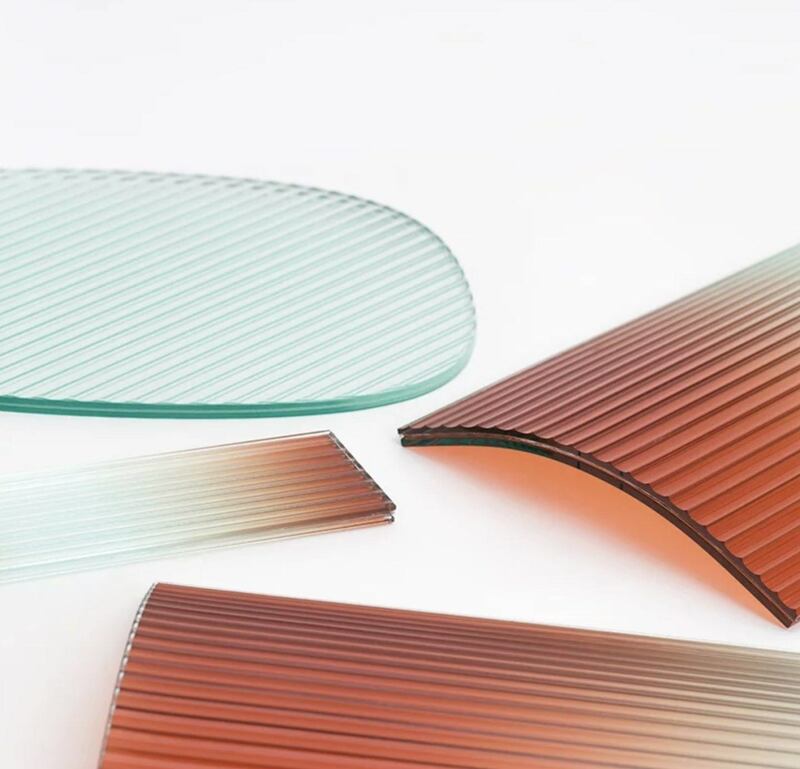 Each piece of glass is overlaid with a gradient color film, and then sealed with an extra layer of transparent glass. 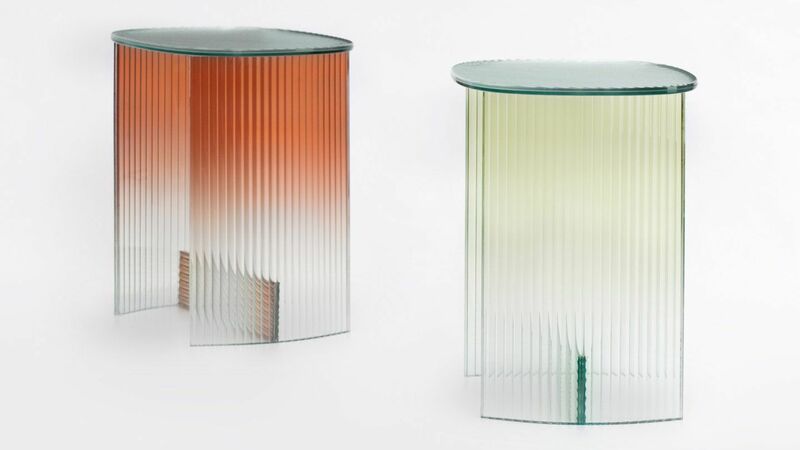 This process achieves a gradient effect as the color disappears from the top of the tables, to the bottom. 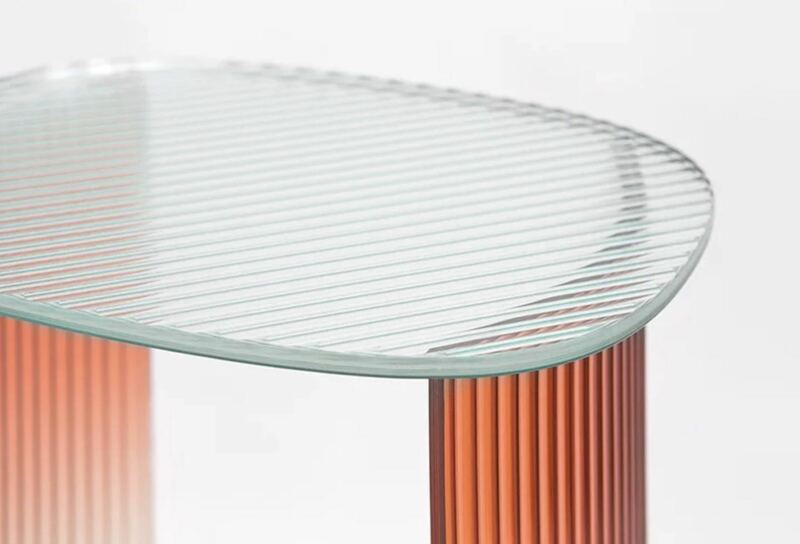 The oval-shaped tables seek out new possibilities for the use of textured glass sheets, by playing with the medium and offering it new functions. 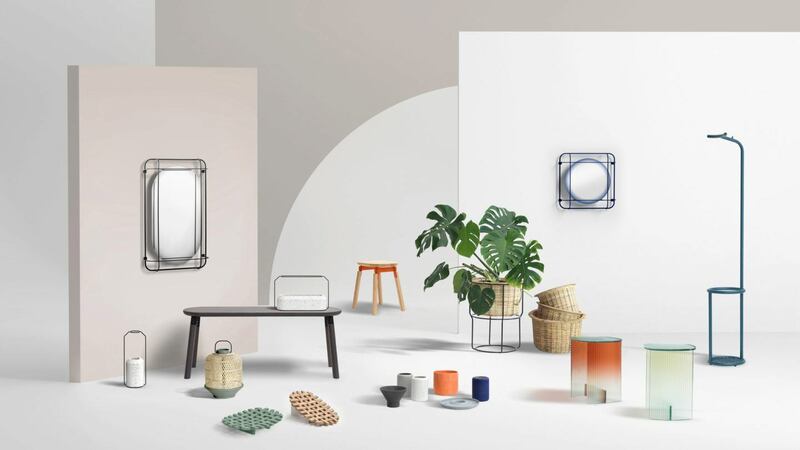 The rest of the collection includes an array of homeware items including a mirror, stool, bench, plant stand, fruit tray, coat stand and a selection of vases. 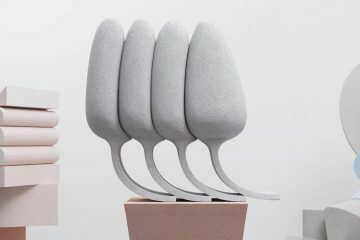 Speaking in an interview recently, co-founder and head designer Decha Archjananun explains that all elements of the design process are thought-through with consideration: “We try to find new possibilities for creating an object by observing the people who use it, researching its history and being open to working with any materials”.